Europe’s explorers actively sought and exploited both academic knowledge and geographic experience in their systematic search for new trade routes. Use of the sea ultimately rested on reliable knowledge of the ocean. Fresh appreciation for empirical evidence fueled recognition of the value of experience, and the process of exploration included mechanisms for accumulating and disseminating new geographic knowledge to form the basis for future navigation. At the outset of the discovery of the seas, portolan charts recorded actual experiences at sea. These navigational aids provided mariners with compass direction and estimated the distance between coastal landmarks or harbors. Utterly novel for their time, portolans were the first charts to attempt to depict scale. Portolans created by fourteenth- and fifteenth-century explorers document Portuguese and Spanish discovery of Atlantic islands and the African coast and helped subsequent mariners retrace their steps. Accuracy of portolans was best over shorter distances, and they became less useful when navigators steered offshore. 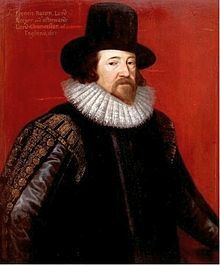 As we find our way, we might light a birthday candle for Sir Francis Bacon– English Renaissance philosopher, lawyer, linguist, composer, mathematician, geometer, musician, poet, painter, astronomer, classicist, philosopher, historian, theologian, architect, father of modern science (The Baconian– aka The Scientific– Method), and patron of modern democracy, whom some allege was the illegitimate son of Queen Elizabeth I of England (and other’s, the actual author of Shakespeare’s plays)… He was in any event born on this date in 1561.